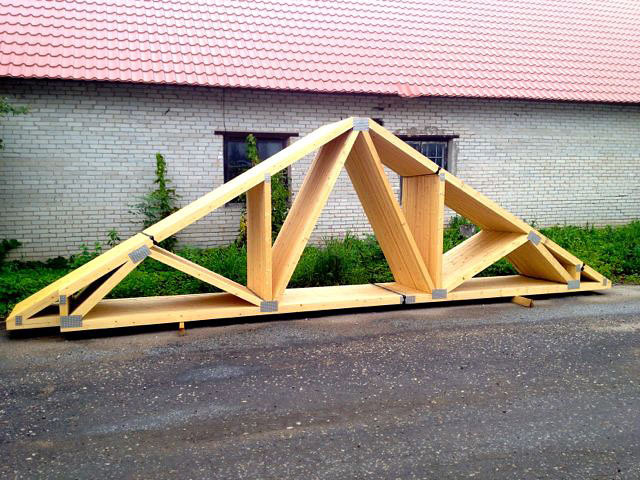 Why prefer nail-plated timber roof trusses of AMV Group? 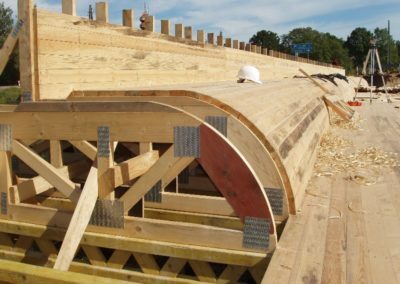 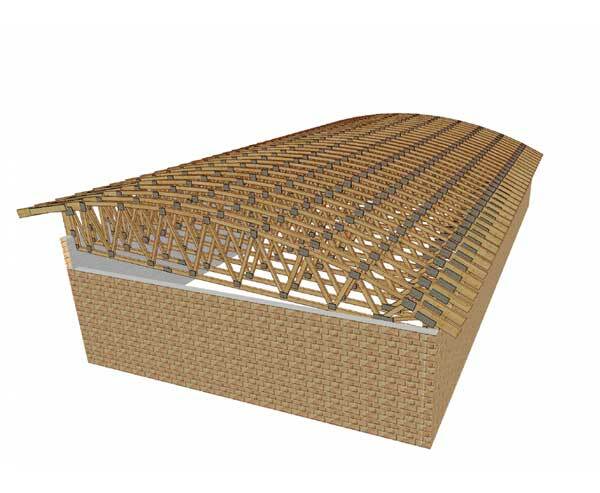 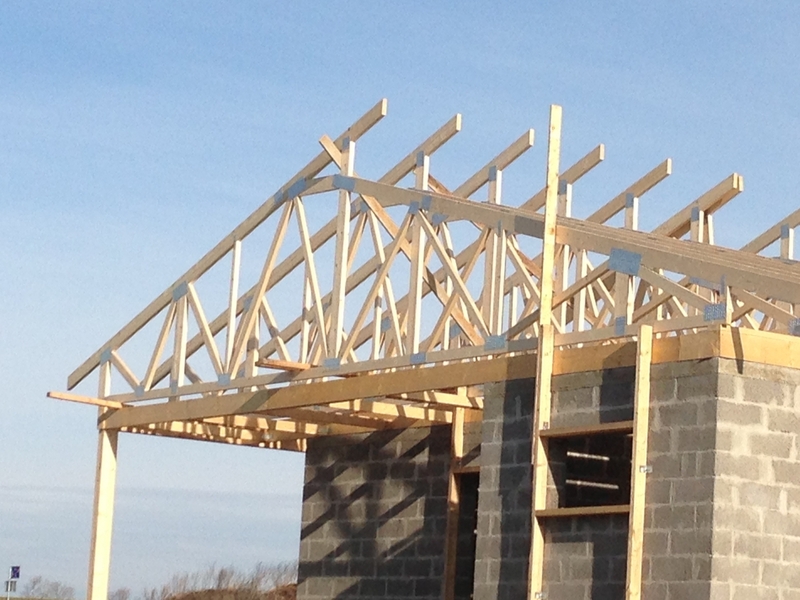 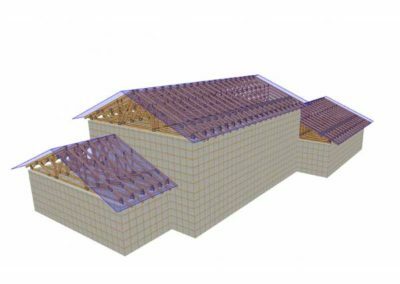 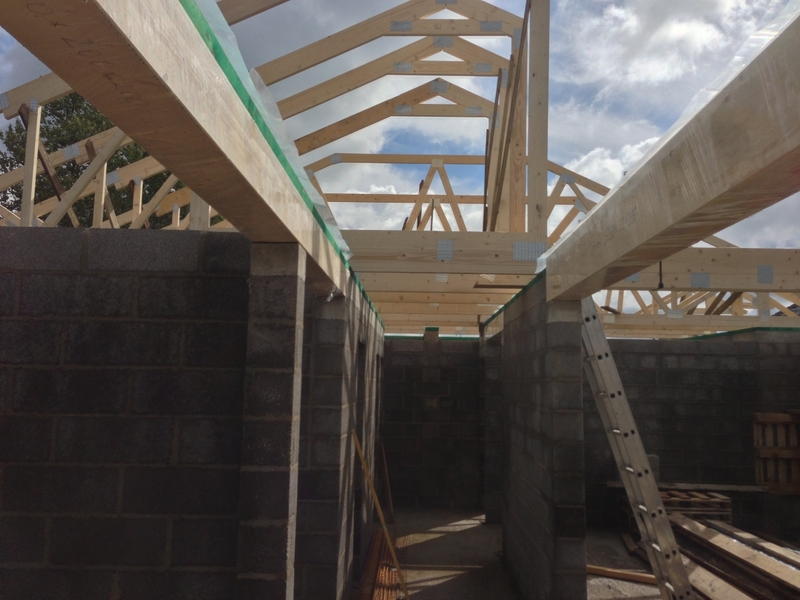 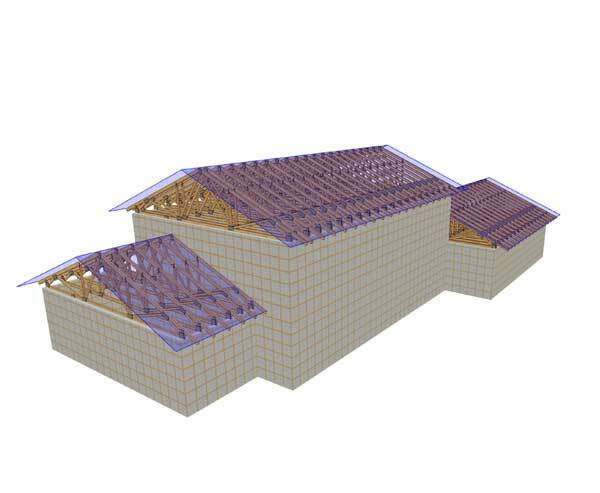 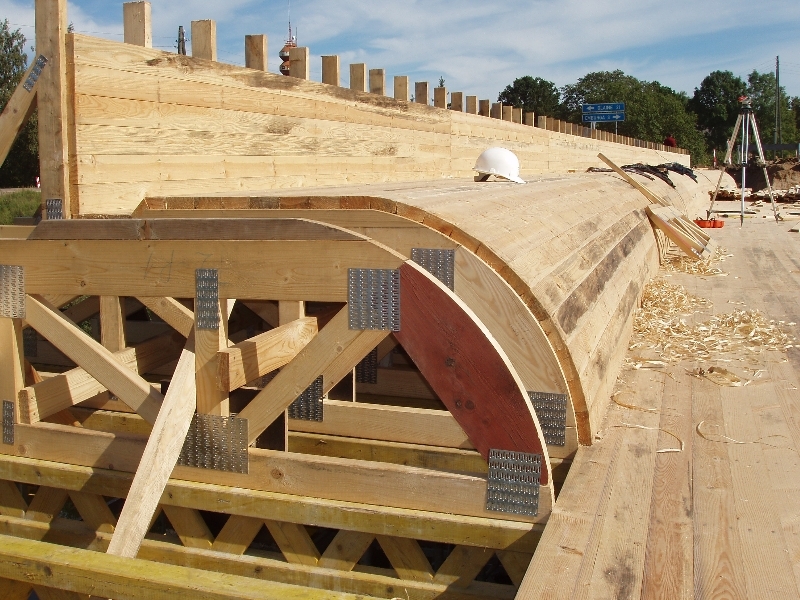 Nail-plated timber roof trusses can be used in creation of the roof structures of a wide variety of buildings. 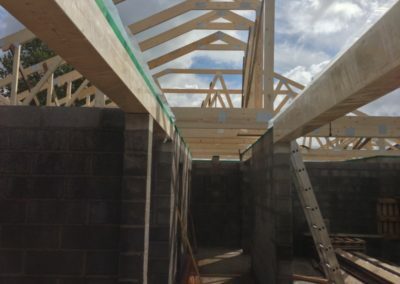 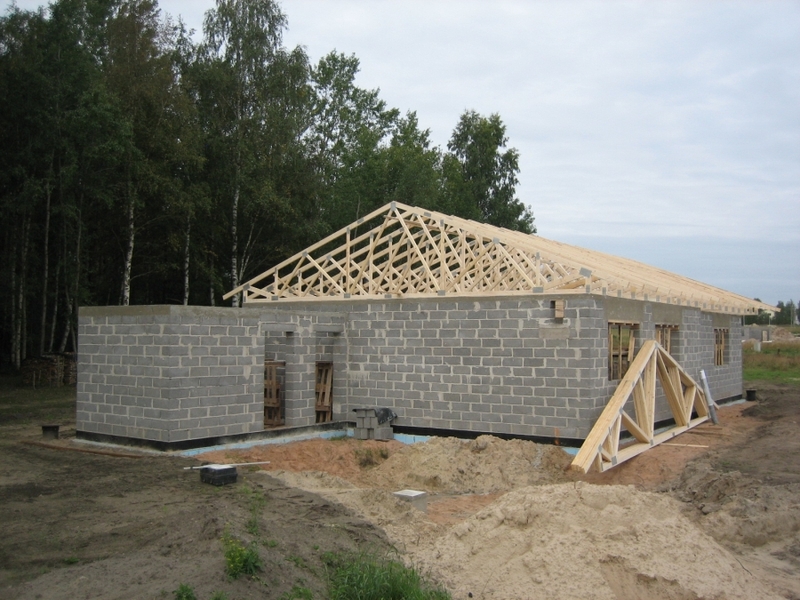 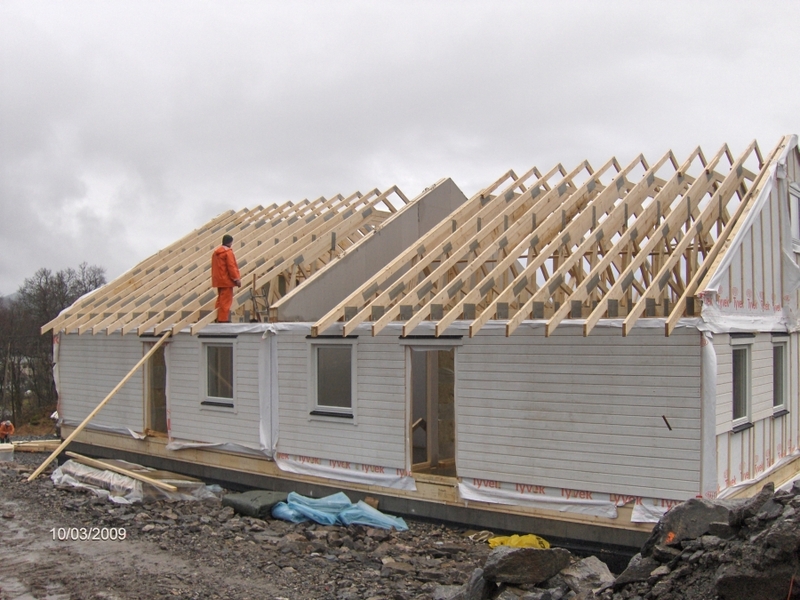 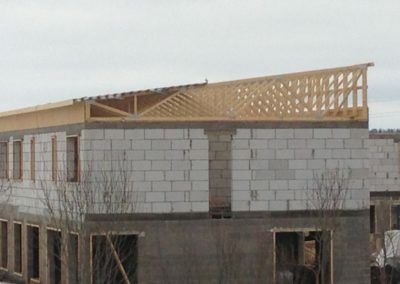 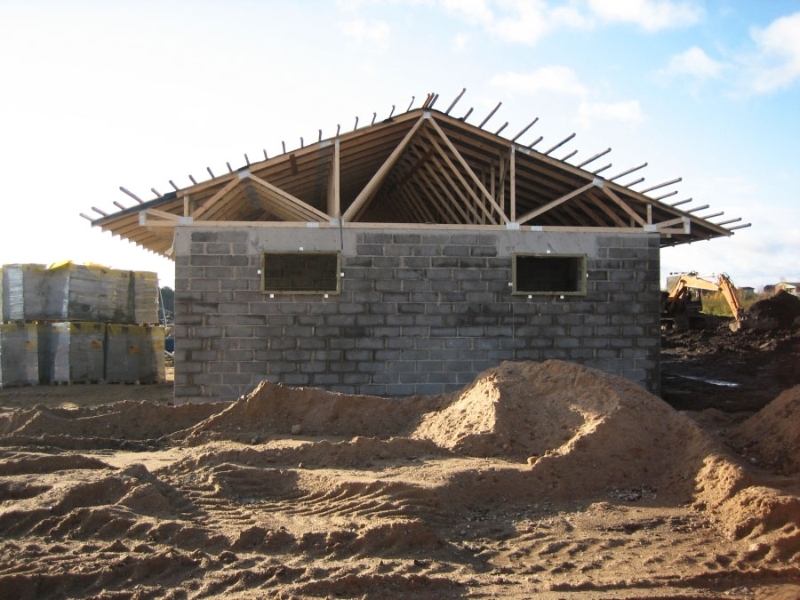 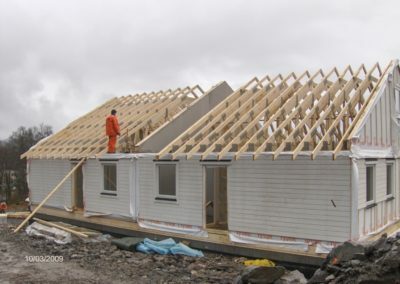 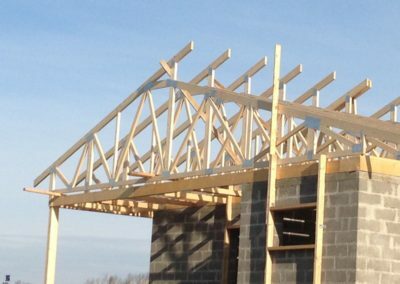 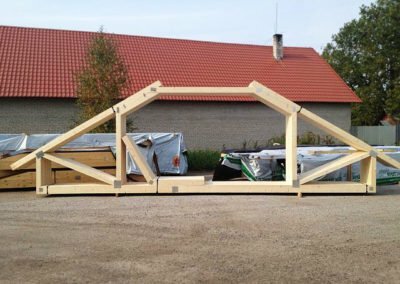 They suit equally well for small buildings .In addition to the roof, trusses are suitable for use anywhere where load bearing wooden structures are needed. 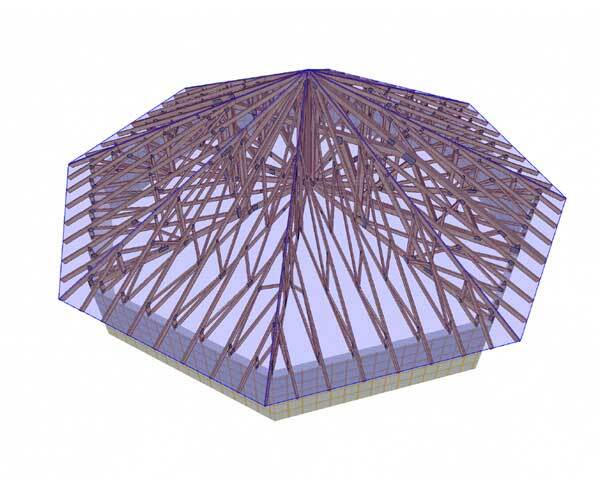 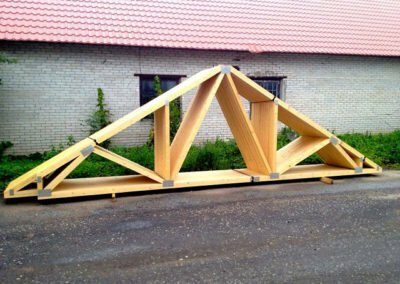 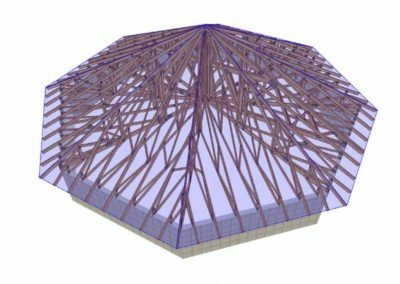 Nail-plated timber roof trusses are tailored for your needs, for each design, the suitable truss can be calculated very quickly and with a very high precision. 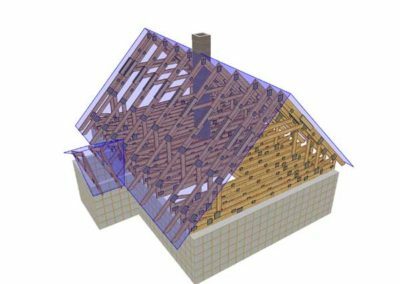 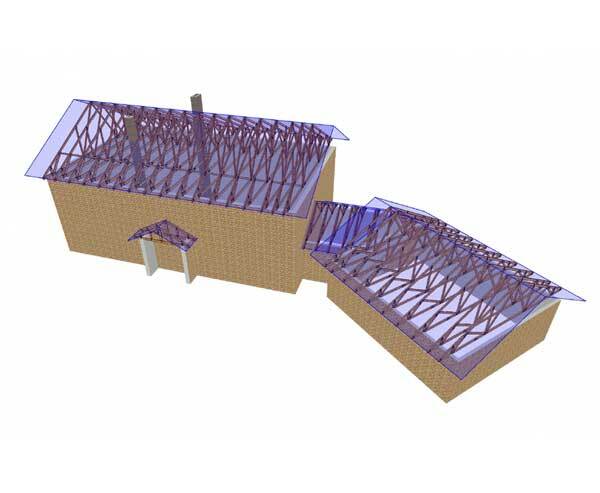 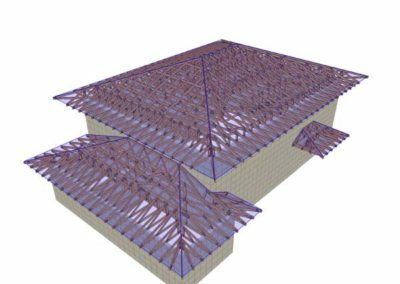 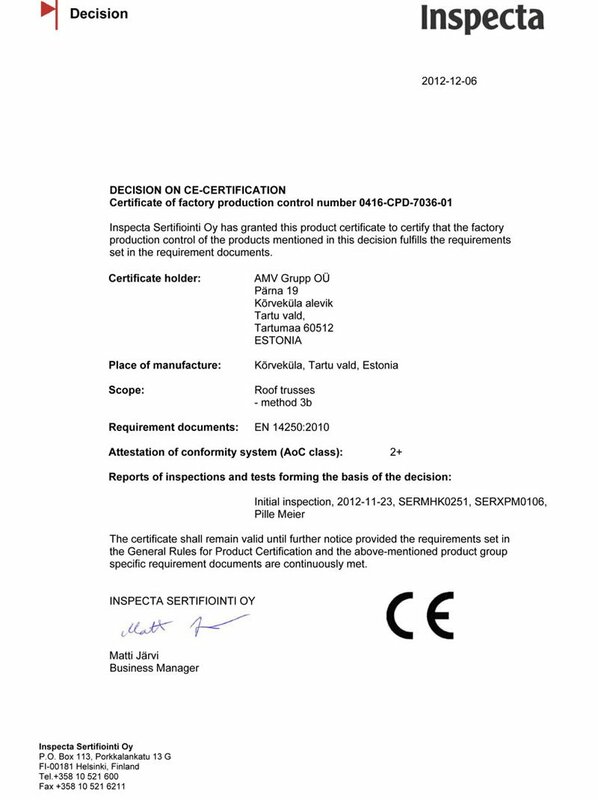 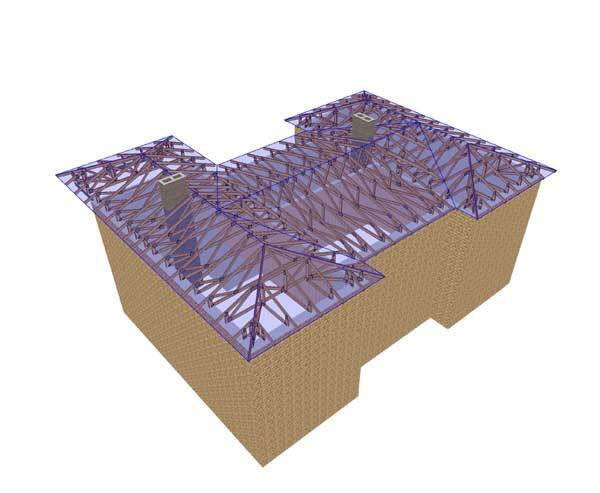 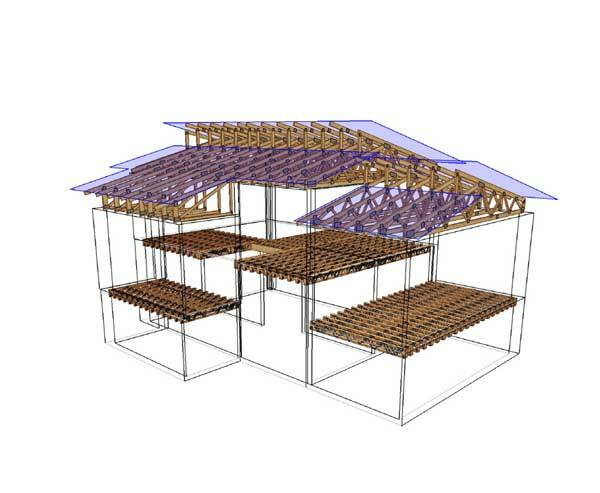 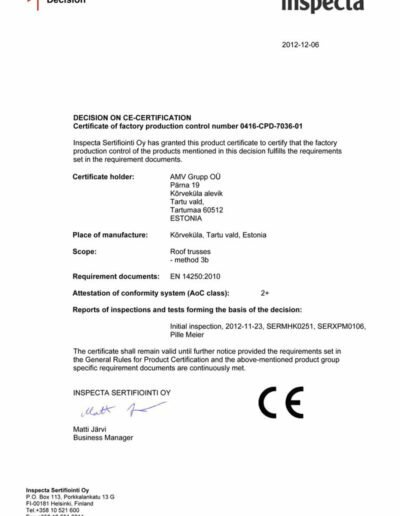 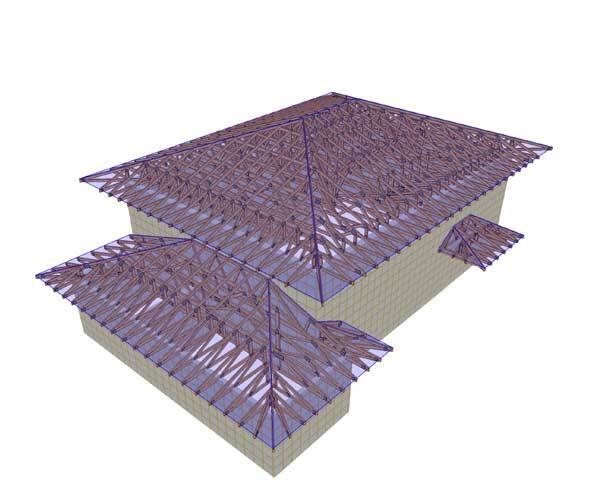 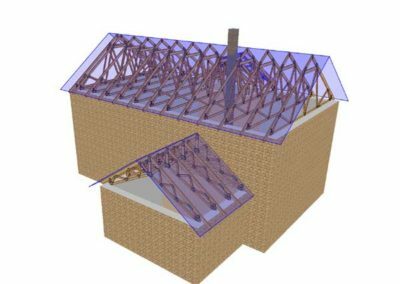 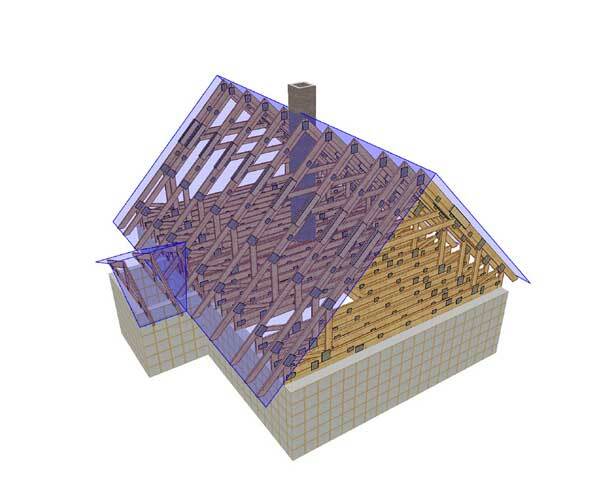 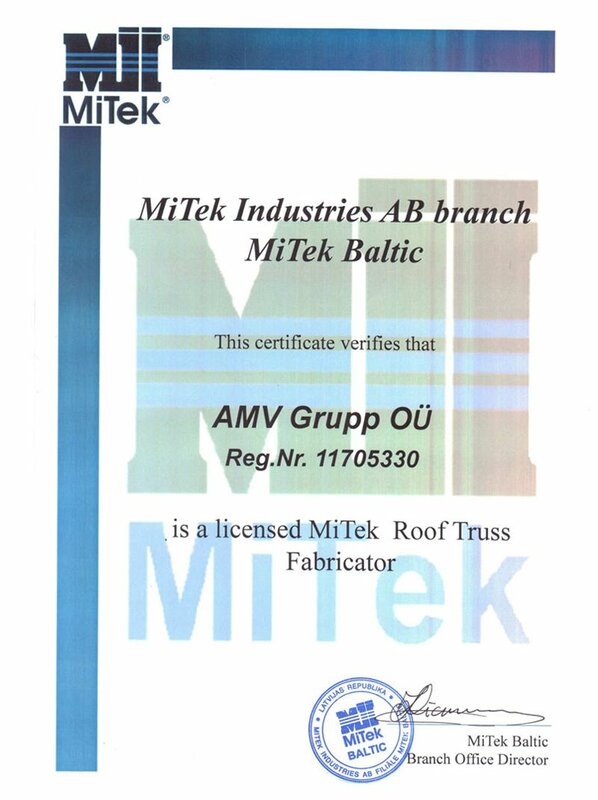 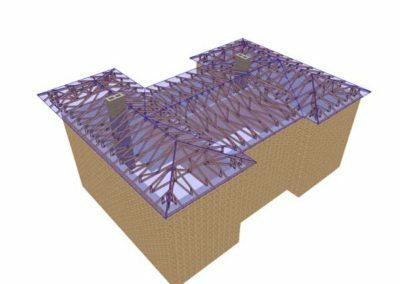 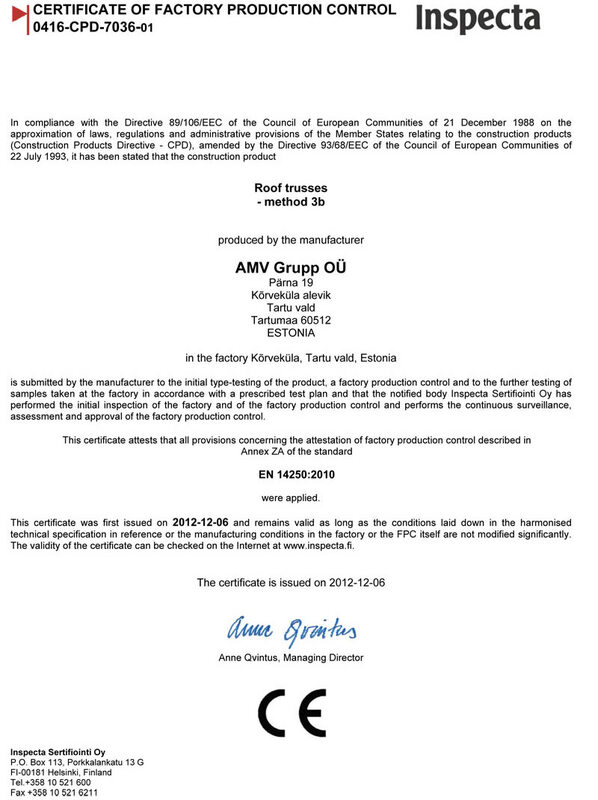 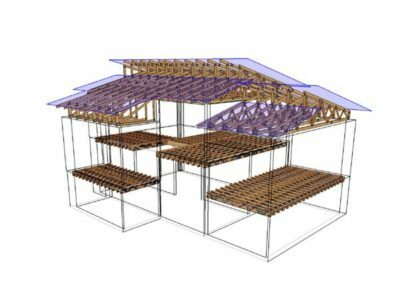 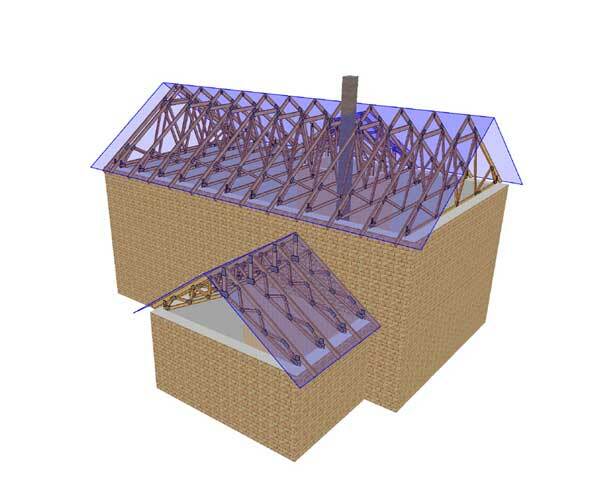 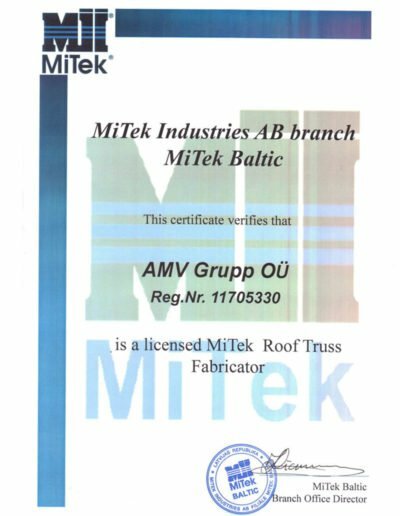 For this, we use special licensed software from the company Mitek, the trusses are designed and the strength calculations are performed by the engineer. 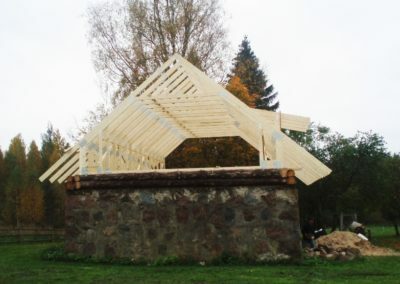 The aesthetic appearance allows the nail-plated trusses, which are made of dried, planed square edged and strength graded timber, to be safely exhibited indoors. 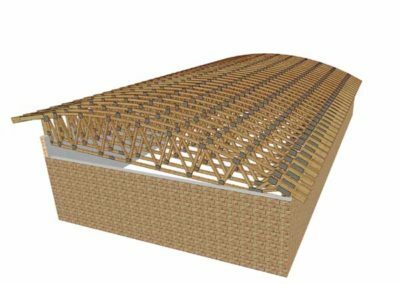 The nail-plated trusses are based on galvanized steel nail plates into which are punched nails which combine wood billets. 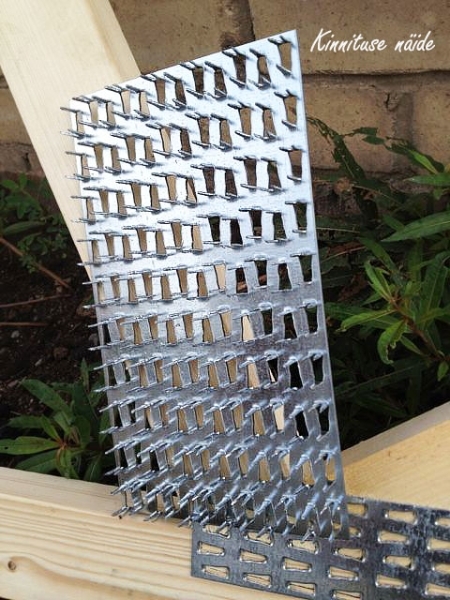 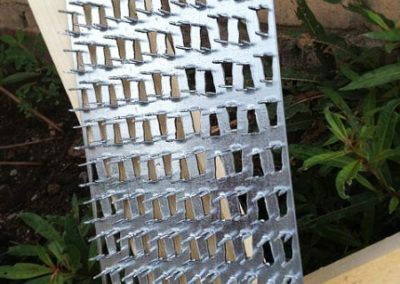 Special connection plates are made of 11.5 mm thick galvanized sheet metal, from which, with a special form, are extruded spikes of a required shape. 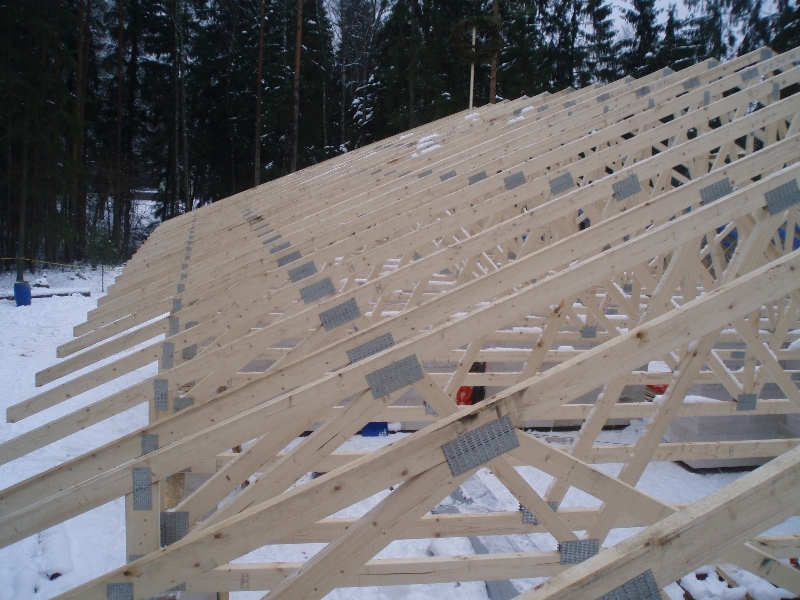 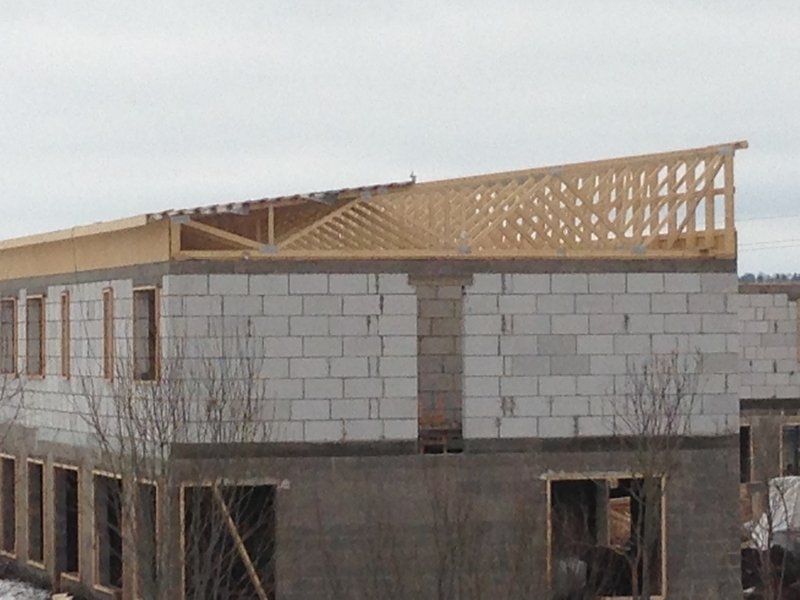 Also, use of nail-plated trusses optimizes the consumption of labor. 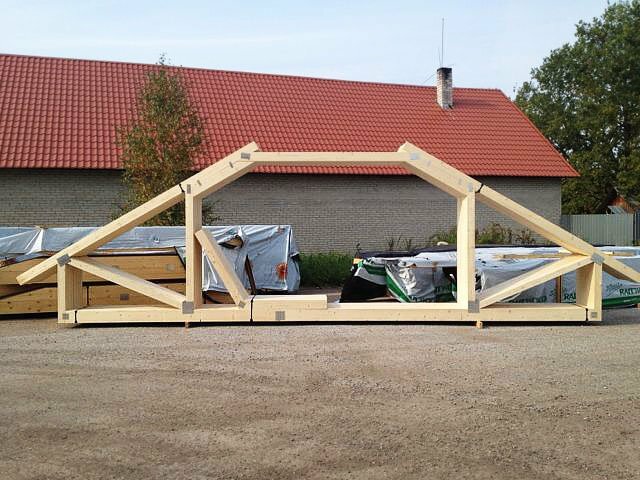 Thanks to the speed and accuracy of our production, on the site, installation takes less time and there is less need for construction workers, because all the required components have been pre-cut to the correct size. 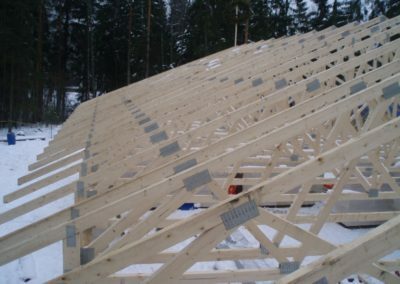 Saves the environment and the wood is a renewable resource. 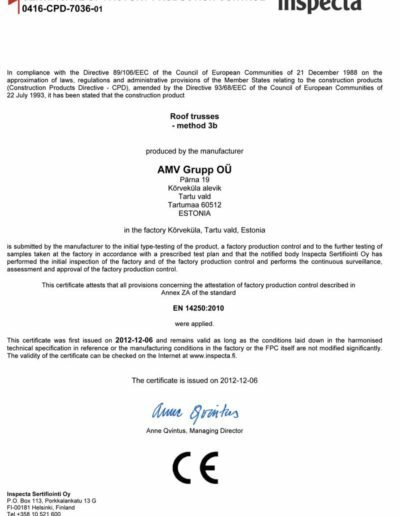 Võid tellida transpordi AMV Grupist, toome tooted sinu soovitud asukohta. 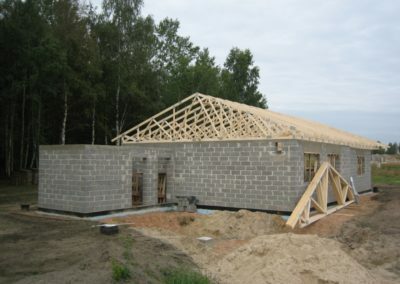 Võta meiega ühendust ja uuri transpordi hinda. 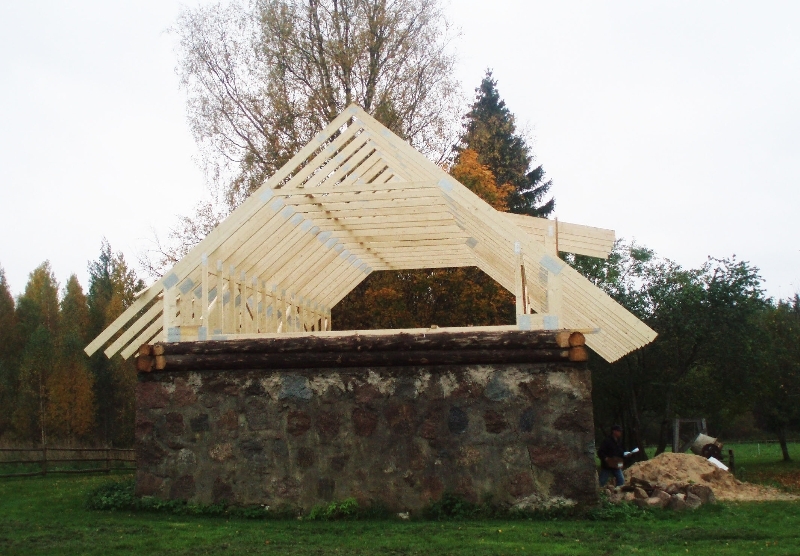 Kui tuled toodetele kohapeale järgi, tõstame need tõstukiga sinu transpordivahendile.